Our thanks to Tito's Handmade Vodka for a great event earlier this week in San Antonio! 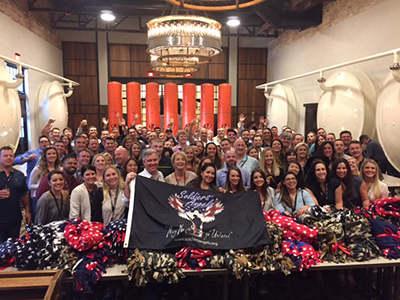 Employees of Tito's put together over 200 Hygiene Kits and Box Lunches for low-income veterans; made over 40 no-sew blankets to deliver to VA Hospitals; and will also be sponsoring TWO future Veteran Mobile Food Pantries. What an incredible event with an incredible group of Tito's employees! For all of the pictures from the event, click here.